The end of the government shutdown may have brought NASA back online, but it will take the space agency a few days to get back up to speed, officials say. NASA Headquarters and all 10 of the agency's research and operations centers were open by Thursday afternoon (Oct. 17), a day after the U.S. Senate and House of Representatives reached a deal to end the 16-day shutdown that had sent huge numbers of federal employees home, including 97 percent of NASA's 18,000-member workforce. "It will take a couple of days to get back to more normal operations," NASA spokesman Allard Beutel told SPACE.com. "At the same time, we're doing those initial assessments of what impact we have beyond the obvious — the majority of NASA was not working for 16 days." Some of this work involves relatively simple activities such as catching up on email and rescheduling meetings, Beutel added. But some of it will be more complex, like potentially re-assessing timelines for future space missions. The shutdown went into effect at midnight on Oct. 1 when the Senate and House couldn't agree on an emergency spending bill to keep the government funded. 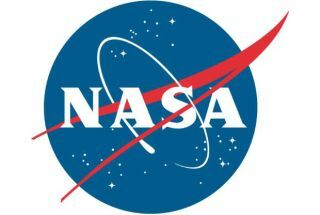 NASA was forced to furlough all but 550 or so employees, keeping a skeleton crew around to protect the lives of the astronauts aboard the International Space Station and safeguard currently operating scientific spacecraft such as the car-size Mars rover Curiosity. After the government shutdown ended on Wednesday night (Oct. 16), NASA had to conduct safety walkthroughs of its buildings and facilities before allowing people to come back to work. But that didn't pose too much of a problem, Beutel said — at least compared to walkthroughs performed under different circumstances. "A lot of the infrastructure wasn't completely shut off," he said. "It's a bigger concern when you have a weather situation like a hurricane, where you're really looking for downed wires and flooded buildings and, if you're at Kennedy [Space Center in Florida], alligators in buildings." With the shutdown finally over, relief and excitement are palpable throughout the NASA workforce, Beutel said. "People are very eager to get back to work and dive back into the jobs in their areas," he said.